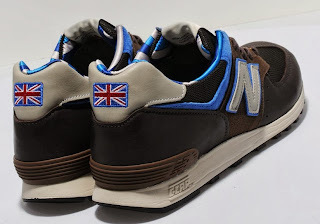 Following on from the 'Country Fair Pack' New Balance continue their British theme with the 576 'Race Day' silhouettes. 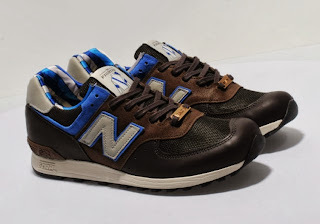 This 'The Fighter' silhouette is presented in a brown leather and mesh upper, alongside royal blue accents to the side panel which represent the jersey colourway of the jockey. 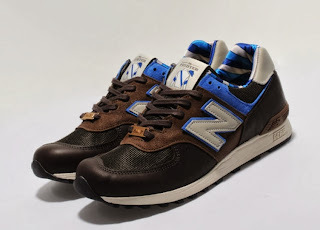 Featuring New Balance branding to the side panel in white, tonal brown laces and a gold lace lock. The shoe also features a woven tab to the tongue detailing 'The Fighter' text and the jockey's jersey. The silhouette is finished with a jockey jersey inspired inner lining and sat upon a white C-CAP midsole for extra comfort and support.